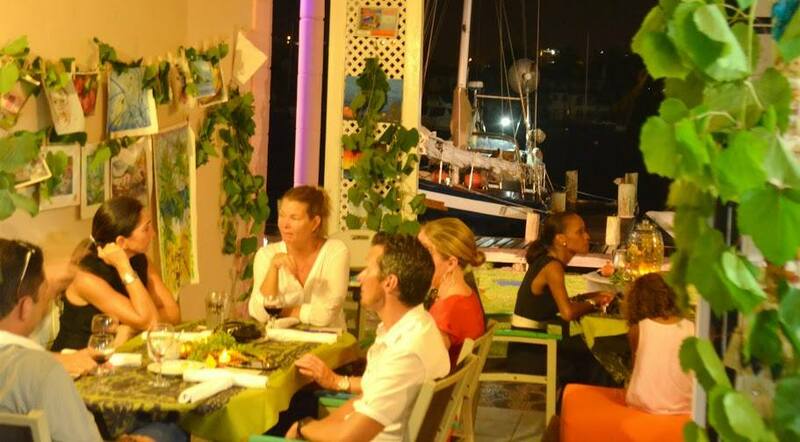 Located in the heart of Rodney Bay, many have found Island Mix to be a true “hidden gem”. Home to the work of over 80 local, and several regional artists, it is the only shop of its kind to be found on the entire island. 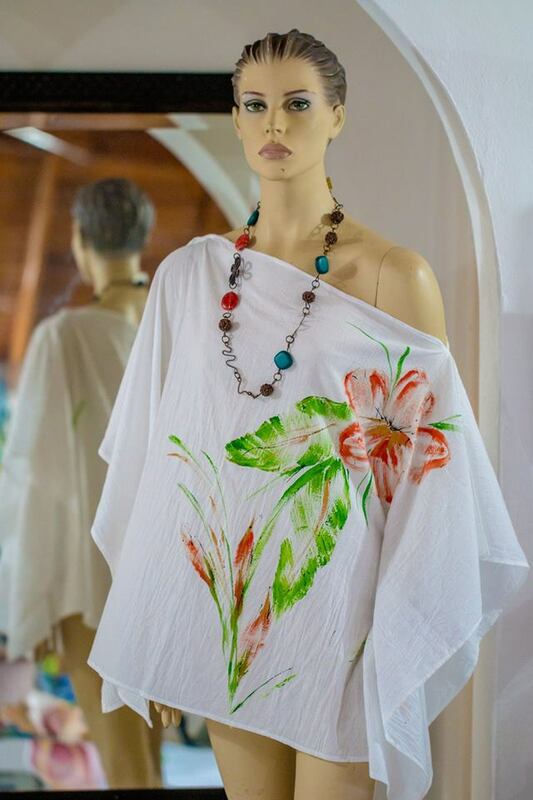 The founder of Island Mix, Nadia Jabour, started the business after realizing that Saint Lucian artists needed a place where they could present their work with style and sell it with pride. 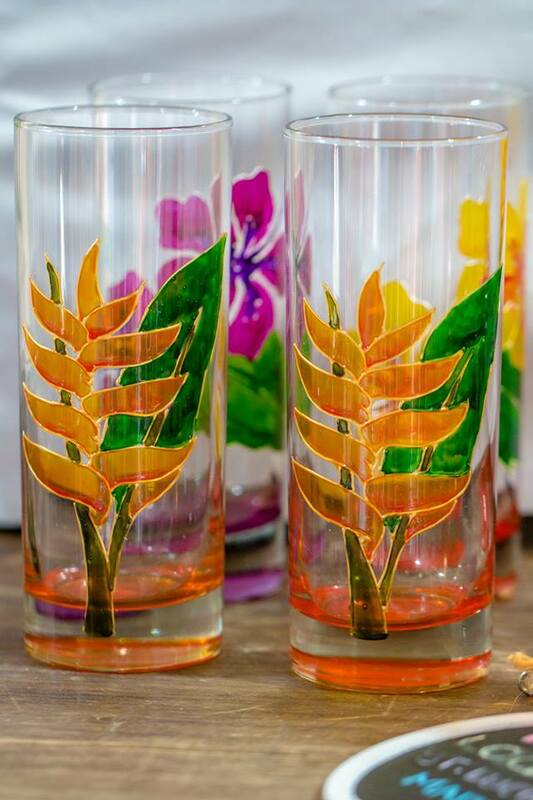 Our artists come from all walks of life and we feature handmade art and designs of all sorts of paintings, graphics printing, clothing, jewelry, ceramics and even our traditional pottery. We also carry a range of delicious gift-packed foods like local herbal teas, coffee, and chocolate. You can find a little bit of everything; something to suit all tastes. Do you like to draw or paint? Or would you like to learn how? 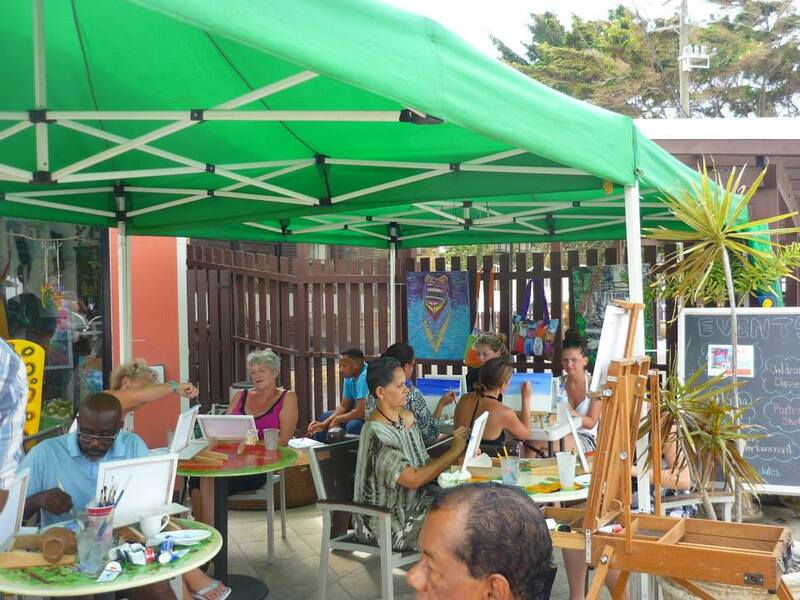 Bring a friend and have fun to explore your creative abilities with the help of a skilled local artist. 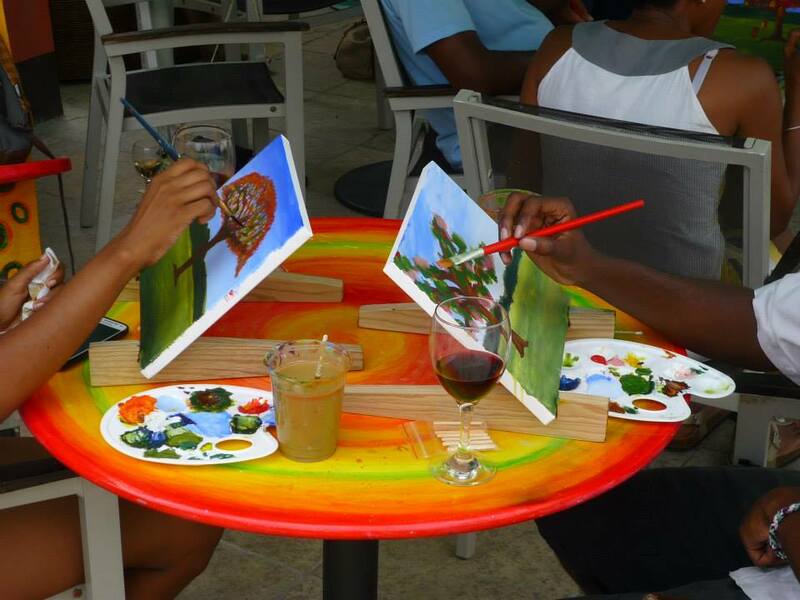 Unwind from a busy work day with our “Art and Sip” classes on Wednesday evenings or join the mixed art class on Saturdays. 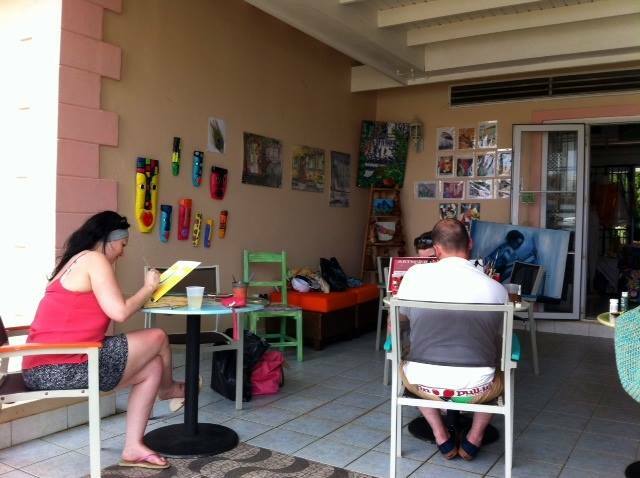 We also offer children’s art and craft classes from as young as 2 ½ years old. Come for the art, stay for the food! Relax in the breezy, tranquil atmosphere of the shop’s open-air café and enjoy our spectacular 180° view over the marina. Our rum cake is rated ‘The Best’ on Trip Advisor! 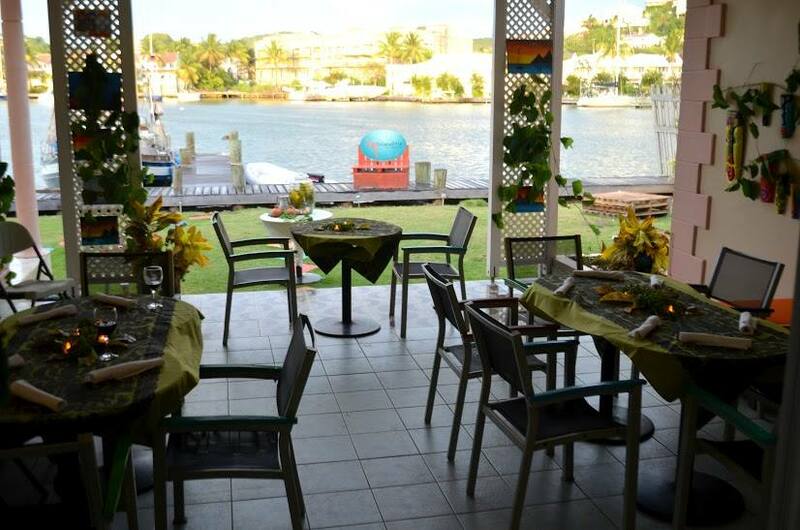 Pair that with your choice of fresh juices, cold beers, wine, local coffee, and teas. For lunch, we serve tasty curry & roti or enjoy one of our other light snacks. Make a booking for our special high tea on Tuesday evenings. Last and certainly not least, come for our super-popular “Fish and Chips Night” every Thursday, with fresh local fish, lightly battered and fried to perfection. 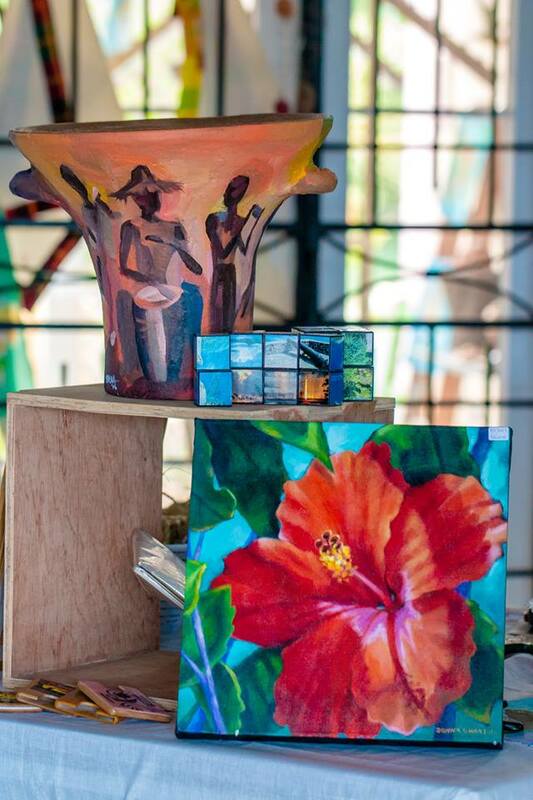 Come visit Island Mix today and experience true St. Lucian art! We love Thursday night here, they have the best fish & chips, we plan to be there every Thursday night this month.